Make the chore of introducing nucleic acids into cells easier. Make the chore of introducing nucleic acids into cells easier. 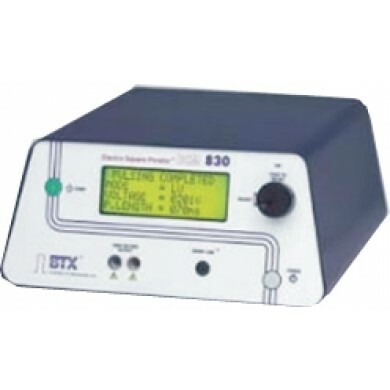 BTX Harvard ECM 830 Series Electroporator System can be used in applications covering embryo manipulation techniques, in-vivo gene therapy electroporation, in vitro embryo gene delivery, plant protoplast transformation, in-ovo gene delivery, siRNA transfections, and zebrafish electroporation. Internal Resistance LV Mode 56 ? Internal Resistance HV Mode 56 ?